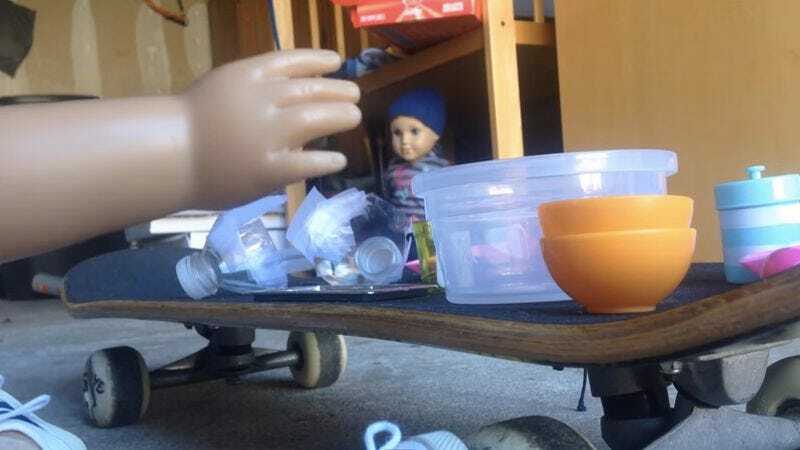 Though it’s probably a better idea in theory than in execution, a YouTube user reenacted Breaking Bad using American Girl dolls. While the casting is pretty apt—Walt’s such a Molly—the recording is unfortunately a little spotty, and the clip could definitely use better editing and sound mixing. On the other hand, you have to applaud whoever thought to make an almost 14-minute, oddly sequenced version of Breaking Bad using weirdly-placed and dressed American Girl dolls because, well, wow.